An Out Zone is any hazardous area that causes cars to fall Out when driven on. 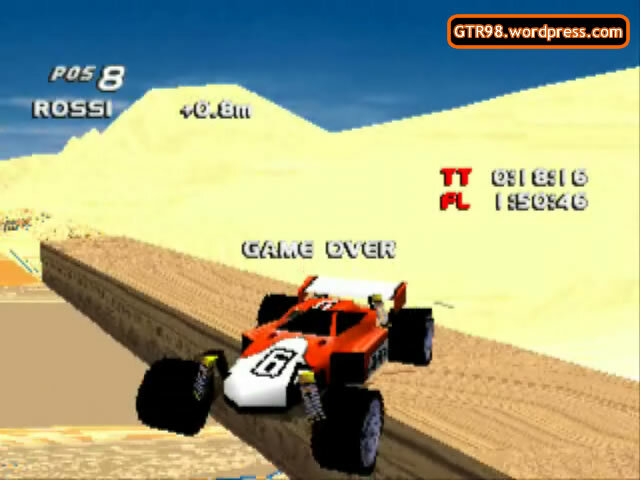 Some Out Zones include deep water, mid-air, or any out-of-bounds area not associated with the main track. 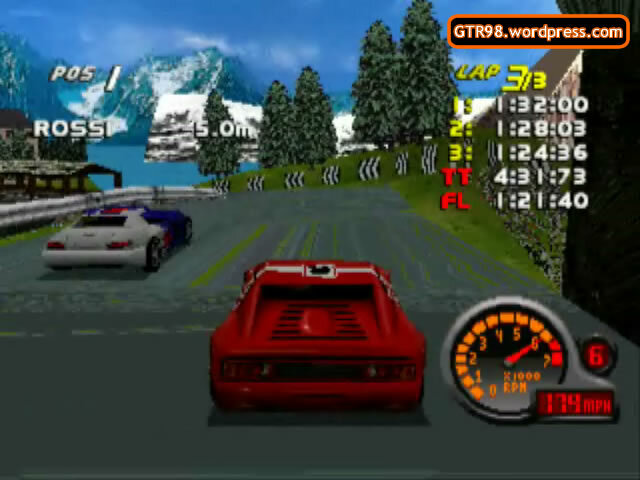 Five different types of Out Zones exist in the world of Grand Tour Racing 98; there are overall six types of matter, with the only non-Out Zone being the drivable area of the main track. 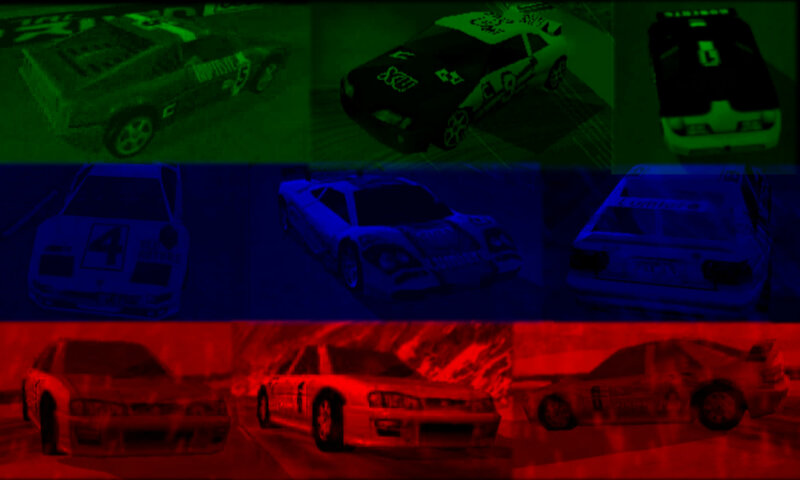 Six types of matter exist within the world of Grand Tour Racing 98, Total Drivin, M6 Turbo, and Gekisou Grand Racing. 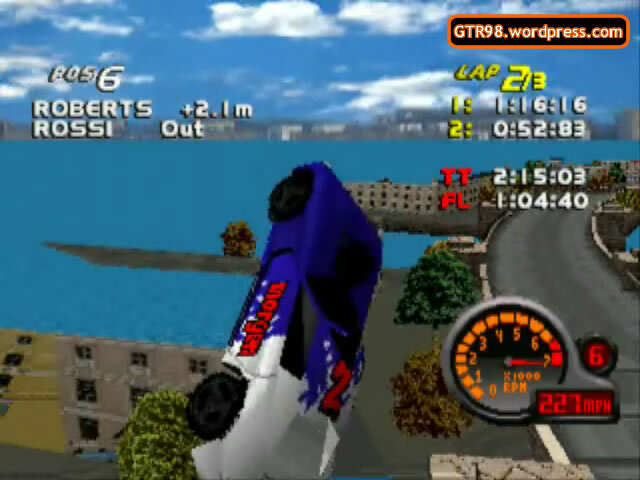 The Safe Zone is the only non-Out Zone, where cars will always be safe from falling Out, as long as they keep contact with it. 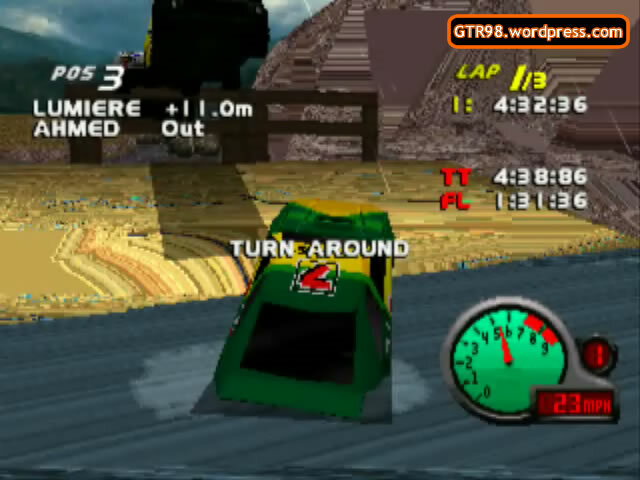 It is the main track that is present in all races, and the most common type of matter in the game. 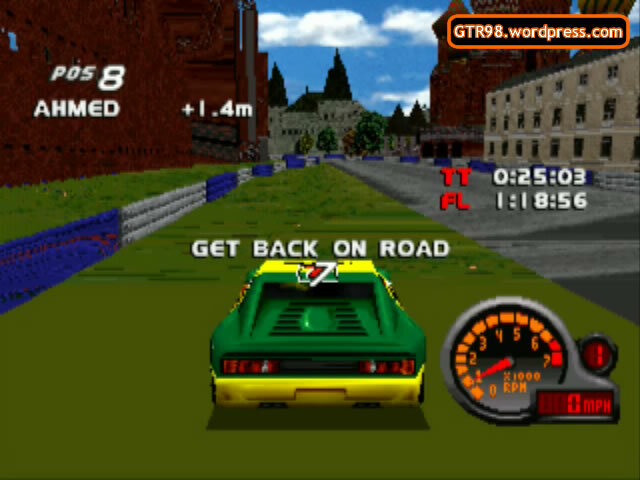 The GBOR Zone is the second-safest area, since the player will be safe for about 20 seconds before the 9-second “Get Back On Road” timer appears. 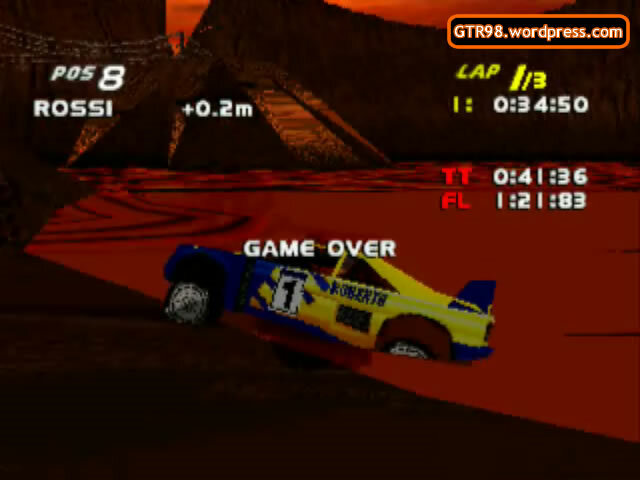 If the player does not get back to Safe Zone before the timer expires, it’s “Game Over”, and the player finishes “Out”. The most common GBOR Zone is grass. 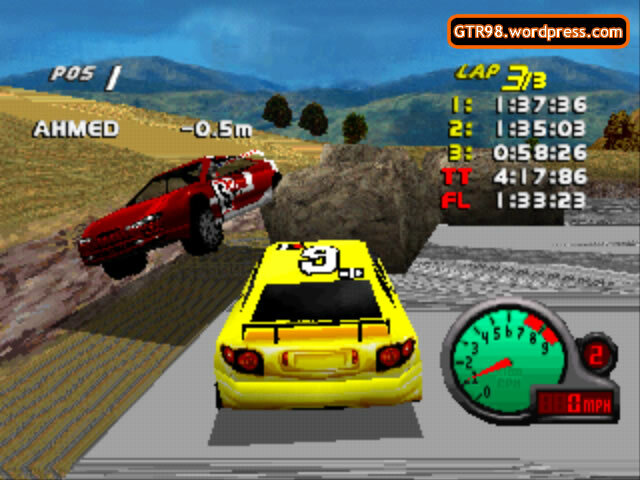 An Undrivable Solid is a hard, out-of-bounds zone, which causes cars to completely lose control and sometimes bounce around helplessly for 5 seconds before falling Out. 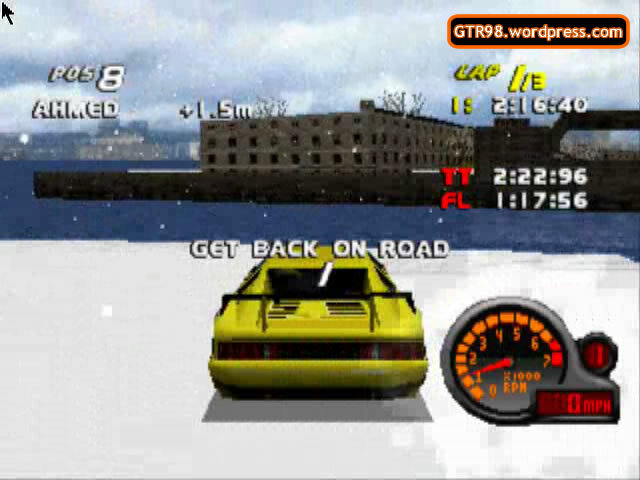 If a car lands on Undrivable Solid while in “Turning Over” mode, the game will automatically try to transition it back onto Safe Zone. If 8 seconds have passed while Turning Over and the car has not returned to Safe Zone, it will be Out. 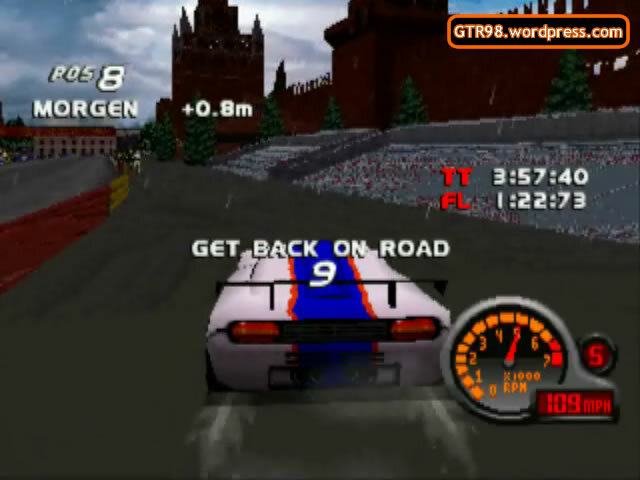 Examples include the rocks found in Easter Island, the gray-colored out-of-bounds zone in Moscow (excluding Moscow 2), and the roofs of every car. 4. 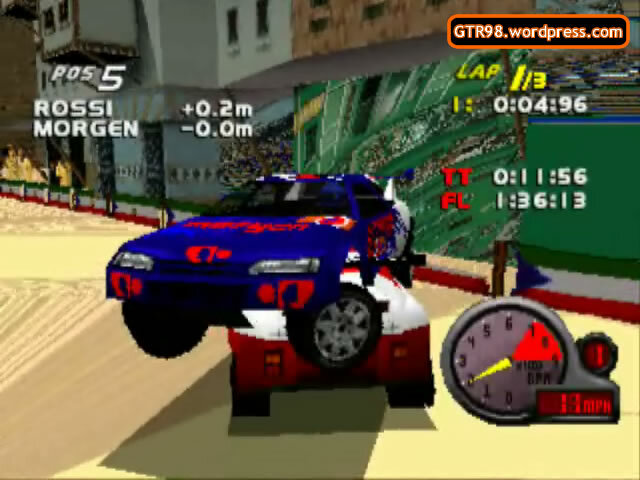 Mid-Air – Car will fall Out if in mid-air for 5 seconds. Behaves similarly to Undrivable Solid. 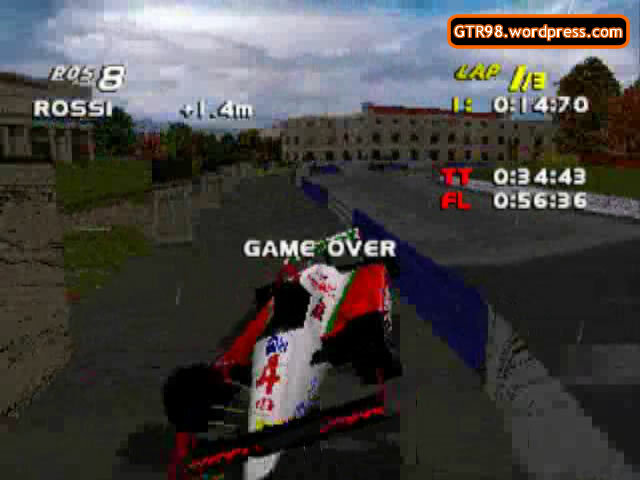 It is possible (though unlikely) for “Turning Over” mode to be activated in mid-air, and in this case the car would simply ignore gravity. 5. Water – Car will only fall Out if about 95% of its body is submerged into the water. All water is near or above Safe Zone, so therefore a car that is not fully submerged will always be safe from falling Out. 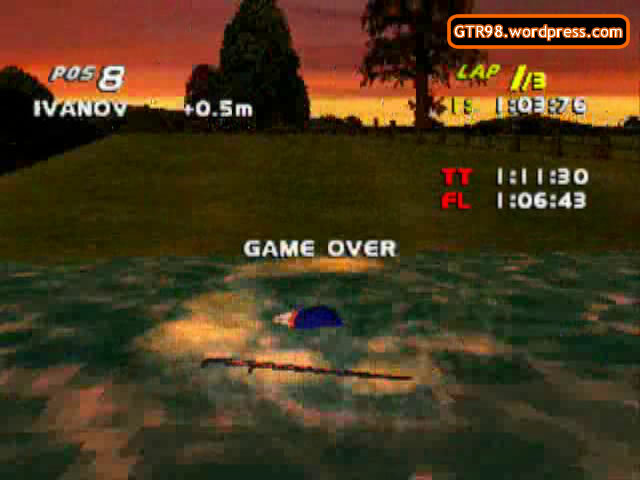 Water is present in all levels of the game. 6. Lava – Car will fall Out as soon as it makes contact with lava. Lava is found only in Easter Island, and the only levels where it is readily-accessible are Easter Island 2 and 6 (and B).